What Undergraduate Majors Fit Well with an Online Master’s Degree in Psychology? Psychology is one of the most popular degree programs, according to the Princeton Review. Having a degree in psychology can prepare one to work in many fields, from counseling to the business world. Because of the high level of career flexibility a degree in psychology offers, even those who did not earn their undergraduate degree in psychology may pursue a master’s degree in the field. The following undergraduate majors are popular options for students who ultimately pursue a master’s degree in psychology. For those interested in a career as a psychologist, counselor or therapist, an undergraduate degree in psychology is the most popular option. A bachelor’s degree in psychology typically lays the foundation for graduate studies in the field, as well as allows students to gain exposure to the various theoretical orientations in the field. An undergraduate degree in psychology also allows for the easiest transition into a graduate program in the same subject. Many master’s degree programs have psychology prerequisite courses that must be taken prior to beginning their graduate program. Many of these courses are built into the undergraduate program. Most graduate schools also require certain pre-requisites such as entrance and proficiency examinations in the field of study, giving an advantage to students with bachelor’s degrees in the field. Business management undergraduate degrees are good choices for individuals who would like to pursue a master’s degree in psychology, especially if they specialize in industrial–organizational psychology. An undergraduate degree in business is also beneficial for those who eventually want to run their own clinical psychology practice. A bachelor’s degree in sociology transitions well to a graduate degree in psychology. 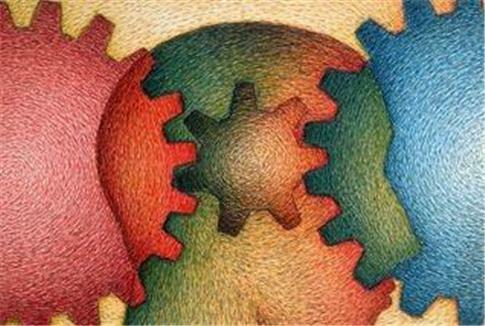 The two disciplines share theoretical concepts and courses on group psychology and I/O psychology often draw on ideas from the field of sociology. A strong background in both psychology and sociology is useful for those interested in pursuing a career in social work. In today’s education field, many professionals are facing higher rates of students with special educational needs. Individuals with teaching and education undergraduate majors often transition well into educational psychology graduate programs. In addition, a master’s degree in psychology can allow those with education degrees to work with special needs students. This degree combination may also allow one to work as a school psychologist or guidance counselor. Today, research in psychology is taking a more scientific and biological approach than in year’s past. Therefore, an undergraduate degree in biology is a good option for those who would like to pursue a master’s degree program in research psychology or biological psychology. A biology undergraduate degree allows the student to have a strong foundation in the anatomy of the brain, as well as the hormones and chemical processes that contribute to mental health conditions and psychological disorders. Many graduate programs in psychology admit students who do not have an undergraduate background in psychology. This is especially true for online universities that typically cater to non-traditional students and those seeking to pursue a mid-life career change. Students interested in pursuing a master’s degree in psychology may have earned an undergraduate degree in several fields, including sociology, biology or business management, contributing to a well-rounded education.